Kesha is once again pushing aside her ongoing legal troubles to throw some support behind her most recent album Rainbow. This time it's via a new video for album cut "Hymn," which she has sent out as a love letter to the DREAMers. 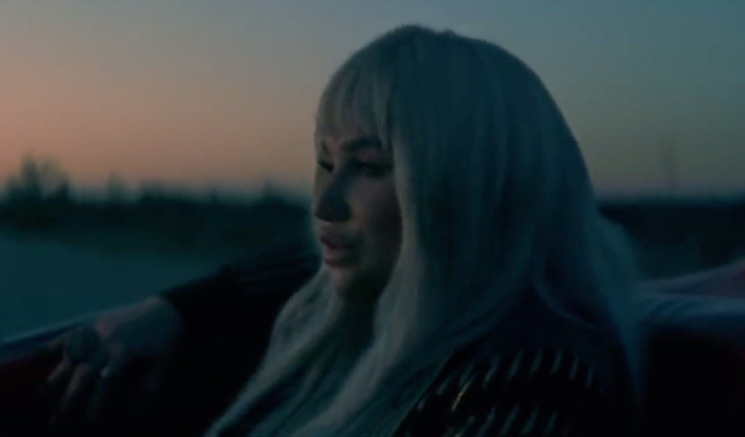 The video finds Kesha teaming up with the organization United We Dream, saying the clip is a direct attempt to shine a light on the DACA (Deferred Action for Childhood Arrivals) receipts in the U.S. When I attended the Time 100 Gala this past April, I met Cristina Jiménez, co-founder of the largest immigrant youth organization in the country, United We Dream. I was so moved by what she and her team are doing to empower immigrant youth in our country. They are working to protect and empower hundreds of thousands of DREAMers who came to this country as children and grew up, studied, and worked in the USA, and now face deportation with the scheduled end of the Deferred Action for Childhood Arrivals (DACA) program. Even though DACA is scheduled to end, United We Dream has continued to fight for justice and dignity for immigrants and helps DREAMers apply for protection. I am partnering up with United We Dream to shine a light on the organization, and I wanted to encourage anyone and everyone to donate even just a moment of your time to learn about what's going on with DACA, donate a dollar if you feel compelled, or simply be open to learning about what's happening to the people behind the statistics," she writes. "These are stories of people who are currently having their lives, their dreams and their pursuit of happiness in this free country, taken away from them. At my shows, I dedicate my song 'Hymn' to DREAMers because I don't believe that people who came to this country as children should be punished by potentially having their families torn apart if they haven't done anything wrong. Unfortunately, these young people are immediately at risk of losing their access to higher education, lawful employment, and relief from deportation. As I say in 'Hymn', we are all 'Dreamers searching for the truth,' and I hope you will stand with me to fight for the DREAMers. Down below, you can watch the results for yourself below, and you can learn more about the United We Dream organization here.